It’s simple: You deserve compensation when someone else causes an accident that injures you. Make sure you get what’s owed to you by working with a Cottonwood Heights injury lawyer. From car crashes to construction mishaps, accident-related injuries can add stress to your life in many ways. The physical pain, emotional trauma, and financial hardships your accident has caused are difficult to deal with and can lead to insurmountable debt, hampering your future wellbeing. Negligence is among the top causes of accidents. When your injury occurred because of someone else’s carelessness, you have every right to file a personal injury claim against the negligent party to recover monetary compensation for your losses. But legal claims are complicated, so you may want to hire a Cottonwood Heights personal injury lawyer. To make sure your damages are all accounted for, a lawyer from Craig Swapp & Associates will protect your rights and fight for fair and full compensation. The most important aspect of a personal injury case is proving fault, which is a difficult task without an experienced attorney on your side. Helping you every step of the way, a lawyer from our firm will investigate your case in detail to find out who caused the accident and how and why it happened. Because there are many different kinds of accidents, personal injury cases vary widely. We will help you understand your case in detail and explain how we can help you get the full compensation you are entitled to. Car, Truck, Motorcycle, and Other Motor Vehicle Accidents – Experienced in all types of motor vehicle crashes, we can help you seek compensation from a negligent driver, manufacturer, or other party. Construction or On-the-Job Accidents – Injured at work? You may be able to file a claim against negligent third parties not affiliated with your company, such as contractors, product manufacturers, and property owners. Premises Liability Accidents – Suffering an injury on another person’s property or at a place of business can lead to a lawsuit against the property owner or business. Slip-and-fall accidents, animal bites, and chemical exposure injuries are common types of premises liability claims in Cottonwood Heights. Product Liability Accidents – Defective or faulty products can cause serious injuries, resulting in a product liability lawsuit. Utah’s personal injury laws are highly complex, especially when evaluating the extent of your damages and translating that to a monetary value. Many elements are combined to come up with a fair and full compensation amount. To make sure you get every penny you deserve, a lawyer from our firm will consider how your injury affects your life today and its effects in the future. Many injuries require extensive medical treatments, procedures, and supplies that may be necessary for years to come—sometimes for a lifetime. 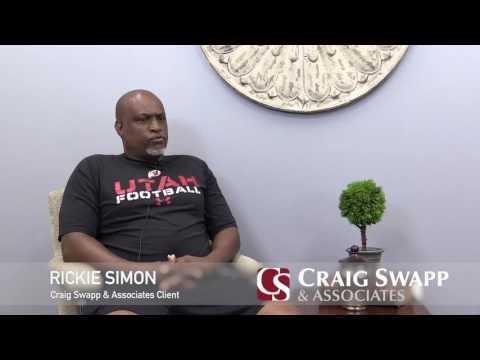 At Craig Swapp & Associates, we understand the importance of recovering compensation after you’ve been injured. To learn more about how we can help you maximize the value of your claim, call us at 1-800-404-9000 or fill out the contact form below to schedule a free consultation with a Cottonwood Heights personal injury lawyer.